Lake Elsinore, Calif. - The Storm continued their opening homestand against the Inland Empire 66ers on a Signature Saturday. Storm manager Tony Tarasco sent Luis Patino, who is currently listed as the San Diego Padres No. 6 Prospect accordioning to MLBPipeline.com, to the mound against 66ers right-hander Oliver Ortega. The offense began early for the Eyes as they struck for three runs in the bottom of the first with outfielder Jack Suwinski driving in two runs courtesy of a fielding error by second baseman Alvaro Rubalcaba, who dropped the ball in the sunlight in shallow right. The following batter, Gabriel Arias, brought the fans to their feet as he drove in Suwinski from second base on an RBI single to right field. This gave the Storm a 3-0 lead before Patiño even entered the second inning. Patiño was only able to get through three innings of work tonight throwing 65 pitches (37 strikes), but he did shutdown the 66ers offense as he yielded only one earned-run while striking out four batters. 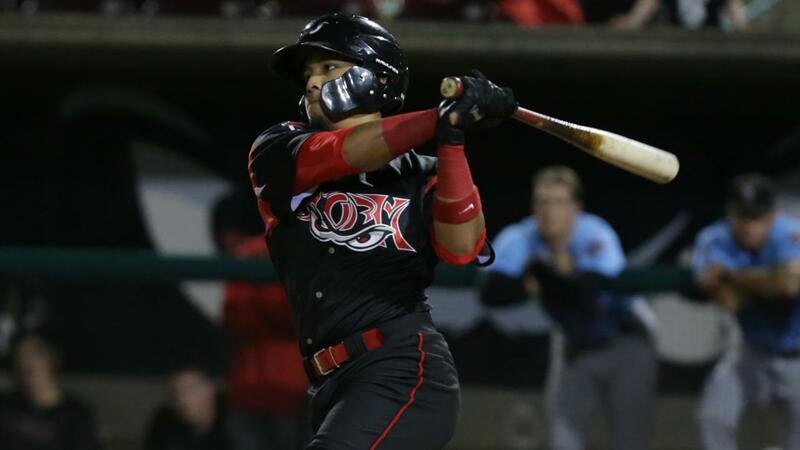 Tijuana, Mexico native Tirso Ornelas also contributed with a strong performance as he crushed the first home run of the season at Pete Lehr Field for the Storm. After the Angels affiliate scored a run in the top of the fourth, the Storm quickly answered in the home half of the fifth with two more runs with RBIs from Ornelas and Kelvin Melean, who joined the hit parade with an RBI single of his own making it 6-2. The Storm bullpen of Caleb Boushley, Jean Cosme and Robbie Erlin combined to toss six scoreless innings and complete an 8-2 Storm victory! 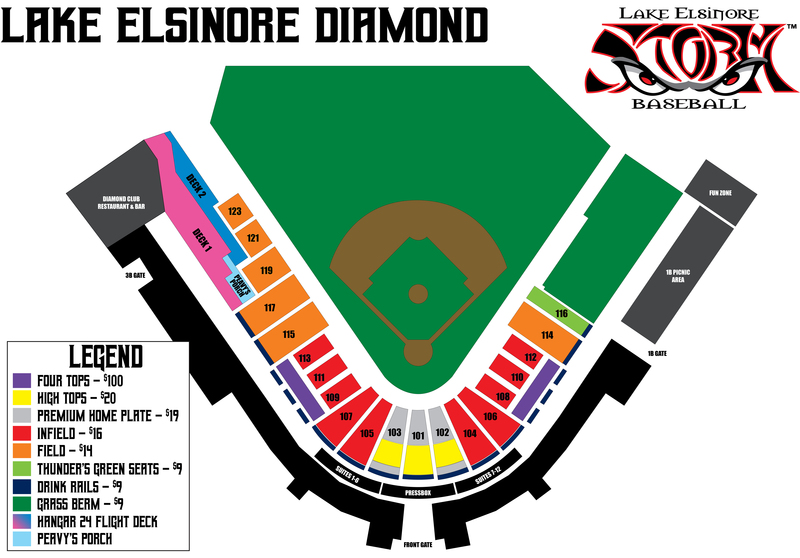 Lake Elsinore's record improves to 7-3 and the Storm continue to lead the California League South division as well as posting the league's best record.